There are so many conflicting opinions out there for how to get jacked. A classic example is clean eating vs If It Fits your Macros (IIFYM). People from the clean eating camp debate that it is completely illogical to think that you can sit around eating junk all day and make optimal progress, while people in the IIFYM camp think that it is illogical to sit down to 5 meals a day of chicken, brown rice and broccoli, when there is no need to be that restrictive. 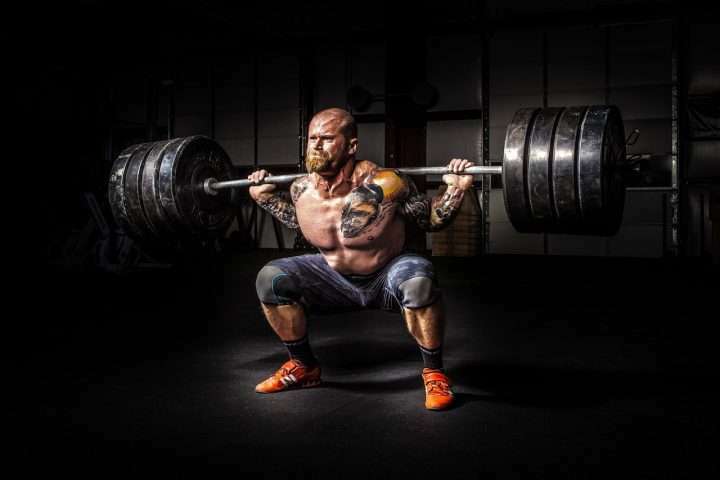 This article is not intended to debate these points and is solely focusing on the topic of the nutrition priorities for gaining muscle at an optimal rate. If you are not eating enough calories you will not grow. It is as simple as that. Calories are what control what we weigh. If you are gaining weight, by definition, you are in a calorie surplus. If you are losing weight, you are in a calorie deficit. It doesn’t matter whether the surplus is created by eating more or doing less exercise, all that matters in terms of weight gain is whether you are in a surplus. Obviously if you are looking at gaining as much muscle as possible, you will be doing some form of resistance training at whatever volume/frequency you think is optimal, so the calorie intake is what we have more control over. It is very difficult to gain muscle while losing weight. Generally, the only people who can do it for an extended period are untrained or taking anabolic steroids. If you have been training for a while, bulking to gain muscle and then cutting to lose fat is the way to go. Losing fat while gaining muscle may be possible for some, but it is not even close to being the most efficient way to get results. If you are gaining weight, you are likely gaining both fat and muscle. If you are losing weight you are likely losing muscle and fat. The trick is to gain more muscle than fat while bulking and lose more fat than muscle while cutting. This is where the size of the calorie surplus comes into play. Too large a surplus and you gain fat too quickly. Too small a surplus and you are leaving muscle gains on the table. There is no real evidence regarding the optimal calorie surplus for the optimal rate of muscle gain, but the consensus among the bodybuilding community is that a 500kcal surplus per day is close to perfect for most people. If you want a leaner bulk, a 250kcal surplus might be better for you. If you want to get big quickly but don’t care about fat gains, a 1000kcal surplus could be best for you. At the end of the day though, if you gain fat too quickly, you are sacrificing long term gains later on since you will have to spend more time cutting. As a practical example of how the average person might implement this: If you maintain your weight on 2000kcal per day (assuming you do the same amount of exercise per day – if you have rest days, drop the calories accordingly to keep the surplus consistent), start eating 2500kcal per day. This should lead to you gaining roughly 1/2kg per week (3000kcal should lead to roughly 1kg per week in this scenario). Weight changes aren’t linear, but it should average out over the weeks. Over a longer timeframe you will gain more muscle, which will speed your metabolism up, meaning you will need to consume even more calories to continue gaining weight at the same rate. Imagine another person who doesn’t do any exercise. If they maintain their weight on 2000kcal, start lifting weights 5 days a week and continue eating 2000kcal, what will happen? Common sense might make you think “lifting weights makes you bigger” but this is not true. Being in a calorie surplus makes you bigger. Weight lifting burns calories like any other exercise, so in this situation, the person would lose weight. Gaining size always comes back to being in a calorie surplus. The next priority is to optimise protein intake. There is still debate over this topic, but roughly 1.75g of protein per kg of body weight per day appears to be the optimal amount for most people. Eating less than this amount will mean your muscle to fat gain ratio won’t be as good as it could be. Having more than this won’t be significantly detrimental to muscle gain, but it is unnecessary. It is also worth noting that there are outliers. Some people may gain muscle optimally on 1.3g/kg, while others may require 2.5g/kg. Unfortunately, we are not all special snowflakes, so there is a good chance that you fit perfectly into the 1.75g/kg category. Still, it is something to keep in mind if you see somebody eating a lot more protein than what is considered optimal – it might actually be optimal for them. There are genetic freaks out there. This one is not nearly as important as the first two priorities. As we all know, carbohydrates will help you train better. They can also help you get a nice pump. Seriously, try training while on low carbs, compared to high carbs; it is an enormous difference. With fat, the key thing that is of importance is to keep it above a bare minimum level. If you go too low-fat, it will affect your hormones. If you don’t eat enough fat your testosterone will crash which will severely impact your ability to gain muscle. For most people 30g of fat per day appears to be the cut-off. I like to stick with 50g as a safer cut-off, but it requires some common sense since people of different sizes will have different requirements. Although this is not well studied either, choosing high-carb or high-fat appears to be slightly more effective than being in the middle-ground. The average person has very little protein at breakfast, a moderate amount at lunch and then a lot at dinner. They usually reach or get close to that 1.75g/kg of protein per day, without putting in a lot of effort, but aren’t distributing it optimally. A better way to achieve this would be to have protein evenly distributed over the day to maximise the time spent in an anabolic state. The number of meals matters too. Having more than 6 meals per day appears to lower muscle protein synthesis (surprisingly) and having less than 3 meals reduces the period of time in which you are building muscle tissue. The theory behind why too many meals isn’t as effective is related to the body becoming used to the stimulus for growth and not being as reactive – but discussing the theory rather than actual results is pushing closer and closer towards broscience territory. You can literally make a compelling argument about why anything is more effective than something else, even without using the facts. Why do you think celebrities with no qualifications can gain a massive following for their nutrition advice? The other thing worth discussing is the anabolic window. This has been debated beyond belief. Alan Aragon and Brad Schoefield discuss the topic far better than I ever could in this article. It’s debatable whether it is important for people who aren’t fasting. If you miss the window you aren’t going to lose all your gains, however if you are doing everything you can to maximise gains then it would be best to pay it some attention. To be safe, have 20-40g of protein in both your pre-and post-workout meals. Use common sense here too, 20g won’t be enough if you are big and 40g might be unnecessary if you are small. Obviously, micronutrients are important for health purposes, however I’m solely focusing on muscle gain here. Fun fact – people who eat less calories live longer on average, so if longevity is your priority, perhaps trying to become huge will be counterproductive anyway. Micronutrients aren’t high on the list of priorities, which is why people who follow IIFYM still get results. I could go through some examples and say stuff like “vitamin C helps with muscle recovery” which is true, but it really doesn’t make much of a difference. Deficiencies will create issues e.g. having a vitamin D deficiency will make you weaker. However, having enough to avoid a deficiency is similar to having the optimal amount in regard to body composition. Use some common sense with this one and try to get your micronutrients in anyway. One thing to keep in mind though is that sodium will affect your physique in the short term. Sodium won’t affect how much muscle or fat you have, but it will affect how much water you are holding. People who eat clean usually consume less sodium then people who follow IIFYM, which will make them hold less water. Holding less water usually makes you look leaner. This is only a short-term thing, but it still means that you shouldn’t do IIFYM right up until show-day if you are a bodybuilder since you won’t look as good on stage. Plus, if you just want to look good at the beach and this minor difference is a factor for you, maybe you should have less sodium. If you aren’t in a calorie surplus, you won’t gain muscle long-term. If your surplus is too big, you will gain too much fat. If you don’t eat enough protein, you will gain more fat than necessary as well. Those are the two main priorities and everything else is the icing on the cake. There is a reason there are so many different approaches to this topic. If you get those first two things right, you will be making progress. Don’t let other aspects distract you from being in a calorie surplus. It’s cool to eat clean, but if it prevents you from eating enough calories then you are shooting yourself in the foot. Cheating the system by taking advantage of IIFYM to have as bad a diet as possible and still make great gains makes an interesting experiment, but I don’t recommend that either.